Founded in 1939, the Miami Shipbuilding Corporation, formerly known as Fogel Boat Yard, received the first US Navy contract for the construction of small, fast and lightly armed "Crash Boats" in its first year of existence. Most of the information in this section comes indirectly from Jean E. Buhler (1917-2012), Chief Technical Officer of Miami Shipbuilding Corporation. His older brothers, Theodore and Paul, were president and treasurer respectively. Their father Emil was also an owner but not involved in day-to-day operations. In 1940 Miami Shipbuilding Corporation (MSC) learned that the Union of South Africa was interested in purchasing rescue boats that the builder would guarantee to make 42 knots. The most powerful engine on the market was the 1250 horsepower Packard M-2500-W8, but the U.S. Navy had restricted their use to the PT-Boats. The 630 hp Hall-Scott “Defender” engine was attractive but the production was sold out to the British for the next year. The third most powerful engine was the Kermath 500 hp “Sea Raider” and it was available. Miami Shipbuilding decided to use four Sea Raiders to get 2000 hp and then rework the Stevens tank data to determine the largest boat that could be built to get 43 knots. The result was the 63-foot Aircraft Rescue Boat. With all its variants, it was the most popular crash boat, with 740 built, including 2 that the Australians built. Launching the first US crash boat later in the same year, MSC started the ball rolling on what would eventually result in one of the most storied ship designs of the Second World War, the PT boat. Though Miami Shipbuilding only produced two prototype PTs before further contracts were passed to more experienced builders, the yard received a large contract for building crash boats for lend/lease to Russia, and ended up producing 50 of the type by the end of 1943. Further orders followed from allied navies, and by the end of the war Miami Shipbuilding had sent over 200 crash boats down its ways for the Russian, British, Australian Dutch and South African armed forces, a large part of the 329 boats MSC built during the war. The US Army Air Forces used only 63 foot models 314 and 416, described further on, during WW II. The model 314 boats were acquired through Navy contracts. MSC Built 146 of the model 314 but specific boats that were in Navy service are hard (almost impossible) to track as most of the production records have been lost.The 416 was built to Army specifications. Collectively all 63s were often referred to as "Class III" Boats. During WWII these boats were painted gray but there were a few painted black in the Philippines for special operations. Imagine how hot those boats had to be during the day in the tropics. During peace time the hulls were white, decks yellow, and the sides of the superstructure orange. This paint scheme was used also used by 63 ft. boats during the Korean War as they were in South Korean waters where they were not likely to come under hostile fire. 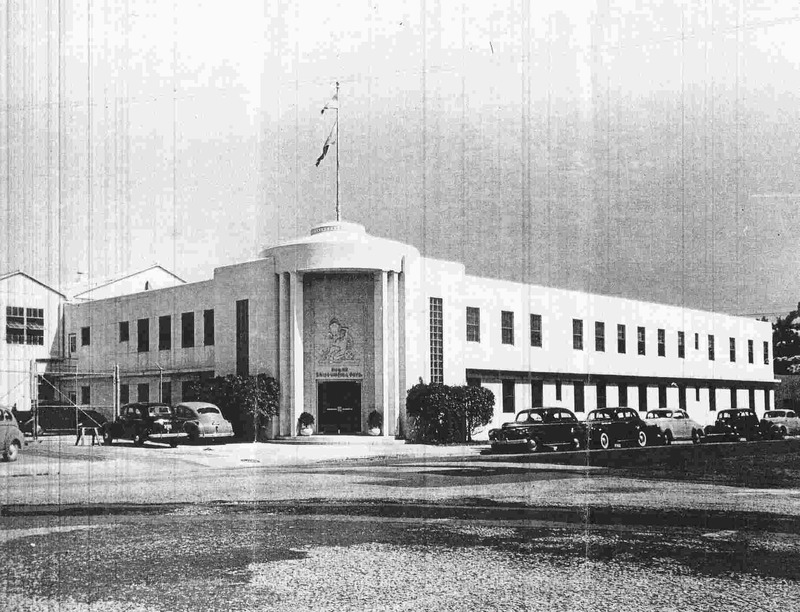 During World War II, Miami Shipbuilding was the second largest employer in Miami-Dade County, employing about 1,800 people on both sides of the Miami River. After the war MSC worked with the US Navy on several hydrofoil development projects. MSC's participation in projects wound down in 1960 and shortly thereafter the company ceased operation. The MSC Building was used as Police Headquarters in the 1980s TV series Miami Vice and the building was demolished in the 1990s. AVR 63s - The designation AVR was used for "Auxiliary [or Aircraft, depending on the source], Vessel, Rescue”. Other sources indicate the “V” was the designator for an aviation related vessel, as on aircraft carriers. Regardless, it was a part of the small fleet that was used for rescuing pilots from downed planes. They were designed for the Navy, and built under a Navy contract, but production that went to the Army Air Force was paid for with U.S. Army funds. They were primarily for rescuing pilots downed near coastal and intermediate offshore waters. Early boats were sold under Lend Lease to our allies. 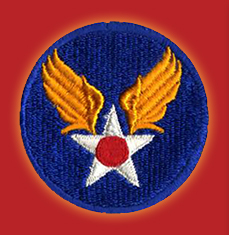 AVRs were designed by Dair N. Long shortly before World War II. AVRs, compared to the more well-known PT boats, were relatively lightly armed with four fifty caliber machine guns in two tubs. Their role was expanded, beyond the design intent to move in quickly and retrieve downed airmen in the Pacific, Atlantic and Mediterranean waters. Their primary defense system was speed and maneuverability. They carried a crew of eight men and had a capacity of six litters. However, in the navy some AVRs were assigned the role as a sub chaser and patrol boat. In this role, AVRs beefed up their offensive systems to include depth charge racks aft. In addition,some sources state that a 20mm Oerlikon cannon was mounted on the aft deck. However, I think those sources have confused the 63' and 85' boats as there appears to be insufficient room at the stern without interfering with rescue operations. Moreover, many crews in the South Pacific Theater mounted an additional 50 caliber machine gun on the bow. The latter bow gun provided additional firepower and more weight on the foredeck to assist the vessel in getting on plane sooner. There was a "blind spot" that the guns in the two tubs could not hit it an enemy plane came in low and straight in that the extra 50 caliber machine gun solved. The last unconverted 63 footer, as of 2018, is owned by Randy Cunningham and located near Vancouver, B.C., Canada. He had admired a B.C. Forest Service 63 footer, used as a log scaler, since his boyhood in the 1960s. In 2004 the boat became available but he managed to miss the opportunity to buy it by one day. Then in 2006 he got a chance on another 63, the P-619, located in the Sacramento area of California, and he was able to come to terms with the owner. This boat was in better shape and more original than the first one, but far from being seaworthy enough to make the trip to Vancouver on its own bottom. Therefore it made the trip to Canada on Interstate 5. The trip to Vancouver was quite an adventure with some engine trouble, the yard that pulled the boat damaging it, but the hauler, while slow, was careful and delivered the boat without any further damage. The boat is currently about 98% restored. For photos of the transport and restoration, click on Photos & Missions. To view the transport and restoration of the P-619, click here. Miami Shipbuilding submitted a proposal to the Union of South Africa via The British Purchasing Commission and was awarded a U.S. Navy contract to build eight boats, named R-1 through R-8 for the Brits. The contract price was on the order of $1,000,000 making the cost about $125,000 each. The contract specified that all hardware must be bronze. Deck scuttle, manhole, watertight doors and portlights to be aluminum, as were the tandem engine mounting rails. Galley utensils and flatware were stainless steel. Each boat was provided with pillows, blankets and linen. In addition, they equipped each boat with a nine-foot sailing dinghy, also designed by Dair Long and first introduced in California several years earlier as an “Interclub Dinghy.” R-l, the first 63-footer, was Miami Ship hull No. 127, and thus similar boats became known as Model 127. This version is distinguished by its lack of a flying bridge and long trunk cabin aft of the pilot house. Although not confirmed, it appears from a few photos that the exhaust exited through the transom. On 3 March 1941, Miami Shipbuilding conducted official trial runs of R-1. Speed trials were run along the County Causeway in Miami, later renamed MacArthur Causeway, where Miami Shipbuilding established a statute mile, measured and surveyed by the Corps of Army Engineers, with posts and back ranges to assure accuracy. All eight boats bettered their guaranteed 42 knots speed and frequently caused traffic jams along the causeway with sightseers trying to race or pace the boats. The ship channel along the causeway was only 300 feet wide, and it was quite a sight to see the boats make a 180 degree turn at full speed in the channel. It should be noted that these eight boats were fitted with four Kermath 500 hp. “Sea Raider” engines, not the two Hall-Scotts which became the standard for AAF boats. This model was equipped both left and right-hand engines which resulted in counter rotating propellers, the norm for twin screw boats. For delivery, Miami Shipbuilding had to ship the 63-footers from Miami, but there were no crane facilities available for handling a 50,000 pound load, so the freighter had to put into Port Everglades, about 25 miles to the north. The first three boats were placed on shipping cradles and towed to Port Everglades. R-4 was still finishing trial runs on the shipping date, and there was not enough time to load her aboard a cradle in Miami. They ran her to Port Everglades under her own power (with about five gallons of fuel in her tanks when she got there) then hoisted aboard the SS Lancaster on 22 April 1941 for their trip to the Union of South Africa. In the summer, still before Pearl Harbor, while Miami Shipbuilding was finishing the last four boats, the U.S. Navy Squadron 2, consisting of ELCO PT-Boats (The Mosquito Fleet) arrived in Miami, all with broken frames and needing repairs from their shakedown trip around Cape Hatteras. Miami Shipbuilding made repairs to half of the fleet while the rest went to a competitor’s shipyard, Merrill Stevens. During trial runs that followed the repairs, some Miami Shipbuilding people conducted trials on the 63-footers, and as speedboat crews are prone to do, they could not resist a bit of “high speed cruising” with the PT’s. On the 30-mile run to Hillsborough Light, the 63-footers were able to out-distance as well as out-maneuver the PT fleet. However, to be fair and compare “oranges with oranges,” while the 63-footers had only about half the horsepower, they were also only half the weight. With the start of World War II, the success of the R-Boats quickly became well known and soon Great Britain wanted seven of these 63-foot boats themselves, and they diverted 14 Hall-Scott “Defender” engines from their standing order to power them. With twin V12 Defenders they had 1260hp and a top speed of 36knots (42mph). Among other changes in specifications the British wanted were: a new internal arrangement developed with the engine room and two Hall-Scott engines in the stern that drove the propellers through V-drives in the dispensary area. This shortened the cockpit and dispensary and located the fuel tanks under the dispensary transom berths as well as under the cockpit deck. After other changes were made, only the basic hull and forward crew’s quarters remained unchanged. This model had a shorter trunk cabin aft of the pilot house and the first flying bridge. Gun tubs and a mast were also added, and became standard on all later models, although not all US Navy boats were armed. The term “Miami” became the general term used by the British for all 63 ft. boats built by MSC, regardless of model. The production run of this model was cut short due to the inability of Watson-Flagg to supply their V-drives to MSC in sufficient quantity to meet MSC’s production needs. In 1942, the U.S. Navy Bureau of Aeronautics became interested in the 63-footer and ordered 15 boats. They needed more speed and thus provided two 1250hp Packard 4M-2500 marine engines for each boat to obtain 48 knots (approx. 55mph), although MSC did not have to guarantee any top speed. The new Model 168 was similar to the Hall-Scott powered Model 152 but had two additional fuel tanks, a modified wind deflector on the flying bridge and required some changes to the V-drives to handle the increased horsepower. These were the only 63s built with Packard engines. They were used for special ops and that may have been the reason for the Packard engines. From drawings it appears that the exhaust was exited through the sides of the boats, just behind the fifth port hole, just above the waterline. This only makes sense for a boat with her engines mounted amidships. It would be much easier to run the exhaust out at or near the transom if the engines are already near the stern. A Belgian Model 168 named BENGA clearly shows exhaust through the transom. Dair Long engineered Model 168 but at the time again expressed the opinion that he had always wanted to design an 81-foot PT-boat or rescue boat on speculation for sales to the military. The owners of MSC had continually resisted his efforts. Since it had taken so long to break even with the 63-footers they did not want to tackle a newer and larger boat on speculation in the midst of 63-footer production. Long decided to leave Miami Shipbuilding to start up a design company in California for the Army Transportation Corps. Shortly thereafter, Charlie Roach left Miami Shipbuilding to join Dooley’s Boatyard in Fort Lauderdale, where he eventually built the new Long designed 85-footer. Except for steering, the model 168 trials were up to specifications and the 63 foot vessel made 48 knots in a light condition. The two right hand propellers made turning to starboard more difficult. The constant differential steering load meant the helmsman constantly had to hold pressure on the starboard side to maintain a straight course. The hydraulic steering system leaked across from starboard to port gradually until the helm was hard over, unless the helmsman remembered to equalize the system frequently. Trim tabs were added to the rudders for top speed operation, but the amount of tab needed varied with speed, so the problem still existed at lower speeds. This same condition existed on the PT-boats with three right hand screws but with their mechanical system there was no need for constant adjustment. After Long left Miami Shipbuilding, the company hired Selden L. Stewart as chief engineer. Selden’s first job was to design a replacement mechanical steering system which was adopted for all future boats. This entire run was built for South Africa using 2 each Kermath “Sea-Raider” 550hp engines connected nose to nose on each of 2 prop shafts, a total of 4 engines. The layout was roughly a straight drive version of the model 152, due to the unavailability of V-drives but had the model 168 flying bridge. This model was fitted with gun tubs but there is no evidence that any of them were armed. Exhaust exited through the transom. This model was a flush decked “sub chaser” version of the model 314. Four depth charge racks were added to each side toward the stern on boats built by Trumpy. Miami Shipbuilding placed three on each side toward the stern and two across the stern, still for a total of eight. Power was provided by 2 Hall-Scott “Defender” 650hp straight drive engines mounted amidships. The elimination of the aft cockpit provided space for mounting an Oerlikon 20mm cannon. Some of the production went to Russia under Lend Lease as “Russian Patrol Craft” and thus carried the prefix RPC, while U.S. Navy boats were prefixed PTC for "Small Sub Chaser. This model was not intended for air-sea rescue work, so the aft areas were reconfigured to accommodate more fuel, depth charges and ammo. With boats being switched between Russia and the US Navy and both navies switching boats being built between small sub chasers and rescue boats, while in production, it is very confusing to track individual hulls from the production runs involving this model. I am certain that there are errors in ther "Builders, Boats, & Dates database on this website. The Model 314 became the standard U.S. Navy crash boat, as can be seen by the production numbers. Most Model 314s were supplied to the US Navy; a small number went to the Netherlands and the RAF to fulfill MSC commitments. The US Coast Guard received another 29 vessels and USAAF received 54, and finally the Australian Navy got 20 rescue boats. The US Navy actually took possession of about 240 of this model boat. Late deliveries of Watson-Flagg V-drives held up deliveries of Model 152 boats to the US Navy. So the Navy decided to invite other shipyards to build the 63-footer to help with the Miami Shipbuilding delivery deficiency without notifying MSC. Obviously, no matter how many yards were contracted, none of them could produce complete boats without V-drives. Miami Shipbuilding came up with the solution of building the Model 314 using the same hull with the same Hall-Scott engines amidships, eliminating the need for V-drives. The arrangement of the new Model 314 was similar to the 152 Model for the crew and petty officers quarters, pilot house, officers’ quarters, radio room and galley. Aft of mid-ship the arrangement was entirely different, starting with the engine room, and continuing through the tank/dispensary compartment, cockpit (or well deck) and access to the lazaretto through the seat in the cockpit. The “A” frame hoist first appears on this model for lifting airmen directly into the cockpit and then into the sick bay. The Navy did not give up the idea of having additional shipyards building the boat. They ordered Model 314 boats from Miami Shipbuilding and made Miami Shipbuilding the design and lead yard to supply plans, parts, and supervision to seven other yards. The Model 314 became the standard US Navy and Coast Guard 63 ft. rescue boat during WW II and into the 1950s. It was necessary to increase the shaft angle, meaning new shaft logs and struts, which, with the absence of 24:25 reduction in the angle drive, resulted in a slight speed loss. Two identical rigid 795 gallon U.S. Rubber self-sealing fuel tanks simplified the installation and piping. By this time MSC had developed a torque tube steering system to replace the hydraulic system which had been a constant problem. The exhaust exited the Model 314 boats just above the waterline, a little aft of the aft-most port hole as appears to be the case with all boats without v-drives, i.e. engines mounted amidships. At the end of the war, during September and October 1945, the USN surveyed most of the Crash and PT boats and many were deemed to have outlived their useful service life, as their engines and hulls were in poor condition, and added to that, many had been attacked by teredo worms or had dry rot. Of all the boats surveyed at Samar Bay in the Philippines, almost half were considered beyond saving. It is reasonable to assume that the condition of other US Navy 63 ft. Crash Boats in the same theater were in similar condition. Since the Navy was reluctant to “mothball” wooden boats, later in the fall of 1945, the beached hulls were burned in a series of bonfires that lasted six weeks. About 200 boats of all sizes were burned. Some speculate that the group burned on the beach at Samar included a fair number of Navy 63 ft. crash boats. In May 1946 many of the remaining 63 ft. Crash Boats were stripped of any military hardware and were sold by the US Maritime Commission. These craft were bought by individuals, and the boats they purchased were destined to end their days as fishing boats, charter boats, pleasure craft, dive boats, ferry boats and even film props. While most of these are no longer afloat after six decades, a very few still remain. The US Army used the term Design number rather than model number and determined the number entirely independent of MSC. This was the model number for 63 ft. boats built to US Army Air Force specifications. This model was built on an Army contract and the boats were built by Herreshoff Industries, Stephens Brothers, and Truscott. This model was very similar, and in most respects identical to the MSC Model 314, with firefighting capability added. Two fire hose nozzles were mounted on the forward deck and other extra firefighting equipment also added. The firefighting system could supply water, foam, or fog to the two nozzles mounted to the fore deck. A small Kermath Sea Chief engine to power the single stage centrifugal fire suppression pump, foam generator, and associated plumbing to the nozzles comprised the system. * 60 units ordered, but 33 Cancelled. For much more layout and construction detail, as well as more photos, see the book Crash Boats, by Linley & Holtham.